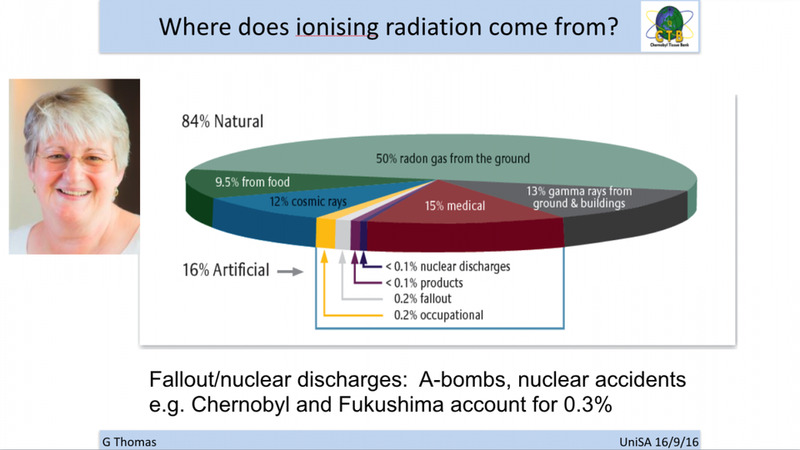 Now, IPCC’s new report ignores research published in Science by climate scientist James Hansen showing the deployment of nuclear has been 12 times faster than solar and wind and instead cites a study by anti-nuclear author Amory Lovins attacking Hansen in a journal with an impact factor one-tenthas large as Science’s. Bohr — heavily influenced by the existentialist Christian philosopher Soren Kierkegaard’s view that profound faith requires equally profound doubt — sent a memo to President Franklin Roosevelt. Richard Rhodes summarizes it in his masterpiece, The Making of the Atomic Bomb. The night of the Hiroshima bombing, Oppenheimer echoed Bohr when he told his men that “the atomic bomb is so terrible a weapon that war is now impossible.” After the bombing of Nagasaki, physicist Ernest Lawrence toldOppenheimer that the bomb was so horrible it wouldn’t ever again be used. One year later, an enterprising Sierra Club activist hyped fears of fall-out to kill a nuclear plant in northern California. His allies came to fear that infinite nuclear energy would result in overpopulation. And so they grabbed on to the fall-out scare pioneered by Lapp. “[A] million people die in the Northern Hemisphere now, because of plutonium from atmospheric [weapons] testing,” claimed Brower. The result? 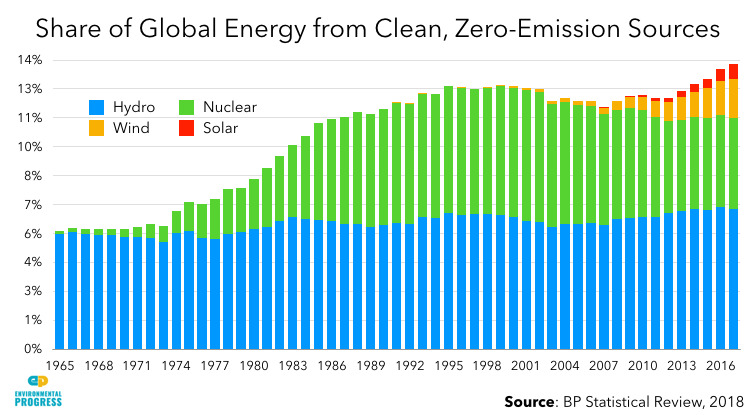 The share of energy globally coming from zero-emission energy sources has grown less than one percent since 1995. The reason? The increase in energy from solar and wind has barely made up for the IPCC-encouraged decline in nuclear. That reality didn’t seem to bother Holdren, who served as President Barack Obama’s science advisor from 2009 to 2017. While in power, Holdren hypedsolar and wind and cast aspersions on nuclear — in language very similar to that used by the IPCC. The good news is that the Cold War fears of nuclear and population bombs, hyped by misanthropic Malthusians, turned out to have been unfounded. As nations grew rich, their fertility rates plunged. And as nuclear weapons spread, the number of deaths from wars and conflicts declined 95 percent.